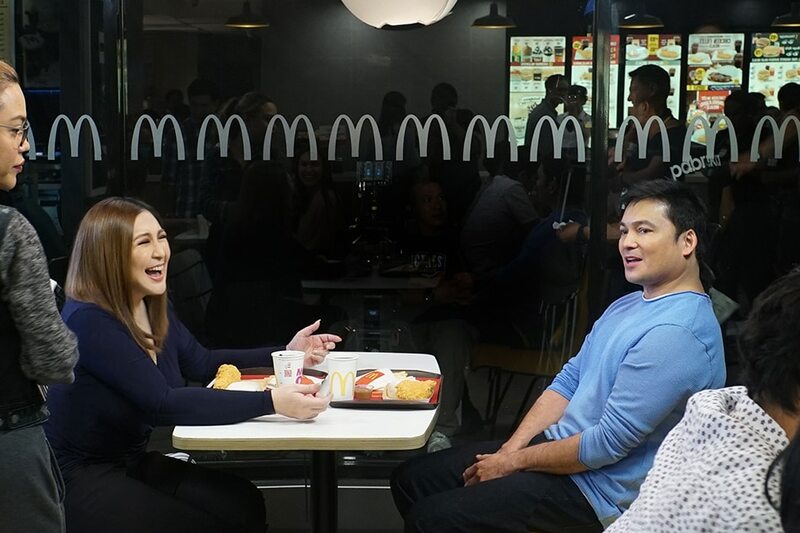 MANILA -- Sharon Cuneta admitted there was some awkwardness when she and her ex-husband Gabby Concepcion first saw each other on the set of their reunion project after so many years. Cuneta said she did not know what to expect of Concepcion considering they haven’t been communicating with each other for the longest time. “Nung sinabing siya ('yung kasama ko), alam mo 'yung mixed emotions na is it going to be fun? Will it be a happy reunion? Kasi nga hindi kami nakapag-usap ng napakahabang panahon, not even sa phone. At 'yung last, hindi maganda. I wasn’t sure. Dasal ako ng dasal," she told ABS-CBN News in an interview. On the day of the shoot, Cuneta arrived at the location without even asking if Concepcion was already there. They remained in their respective tents until Concepcion visited her standby area to greet her. “I was with my team. After a while, parang nagkaroon ng kaunting commotion. Pagtingin ko, siya. Sabi niya,’I brought you fruits.’ Nag-thank you lang ako, tapos, 'O sige see you later." Alam mo na nagkakailangan kami,” she said. The situation, however, was totally different when they finally sat across each other just before the cameras rolled. “Parang kahapon lang kayo galing shooting. Sharon, Gabby kayo agad. Okay let’s do this, as usual, what we’ve been doing forever. Tapos mamaya kuwentuhan na kami,” she said. Meanwhile, Cuneta revealed that their daughter was totally clueless about the project. “Hindi nga alam. Kasi it was so confidential and we really did not want to tell anybody. Si KC, she gets excited minsan, na minsan she doesn’t wanna say but she would say it to her closest friends, or nadudulas. So tawa kami ng tawa. Sorry Kace,” she said. In fact, Cuneta narrated that KC actually called Concepcion while they were working together to invite him for dinner. “Sabi niya (Gabby), ‘I’m working anak eh. You come na lang to me in Bulacan.’ How far naman daw. Hindi niya alam kasama ako. When it came out, dedma rin lang siya pero tuwang tuwa siya,” she said.